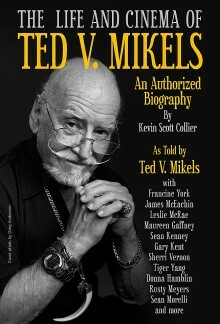 Your new book The Life and Cinema of Ted V. Mikels, is (no big surprise) the (authorized) biography of recently deceased legendary filmmaker Ted V. Mikels - so for those of us who are not familiar with the man and his work, could you sum up his story in a few lines? Ted V. Mikels was a man with a drive to entertain and had an interest in filmmaking, and from 1959 until he passed last year, made countless movies that became amusing cult horror classics that are adored by his fans. What fascinated you so much about Ted V. Mikels that you decided to write down his story? I loved his style of moviemaking, sci-fi and horror, but with a campy presentation to it, that was very entertaining. Being a big fan of his Astro-Zombies film series, my original intention was to see if he would make a few comments for a guide I was compiling for a book. When I discovered Ted answered his own email, and was enthused about the book, things sort of grew from there. It was clear early on he was thinking about a much larger book, something that told his entire life and movie history. So, I joyfully agreed, and it has really been a two-book venture for me. 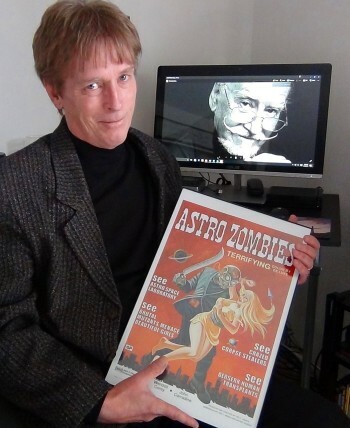 I completed the first book, Unmasking the Astro-Zombies, which was published in November 2016, about that movie series, then the second one, a much larger project, The Life and Cinema of Ted V. Mikels is published on what would have been Ted's 88th birthday, this April 29. From what I know, you have interviewed Ted V. Mikels quite extensively when compiling material for The Life and Cinema of Ted V. Mikels - so what were these interviews usually like, and what kind of a person was Ted to begin with? Ted and I corresponded almost daily from December 18, 2015 to May 10, 2016. He preferred to use his computer and his voice activated software so he could answer everything without typing anything, nor hanging on the phone for hours. Many days we exchanged 8-12 emails, questions, answers, follow-ups with details, it was fast and furious, just like Ted's moviemaking. Ted was a great man with a heart of gold. He was so polite, and kind. I really can't put into words how gentle a giant he was. Aside from Ted himself, you've also interviewed quite a host of other people for the book - so do talk about some of your interviewees for a bit, and why you included them? Yes, I took it upon myself to add to Ted's biography interviews with actors, actresses, and others who made films with Ted spanning over 50 years. Ted was surprised I was doing this and was having great and receptive results. Everyone I found and connected with just loved working with Ted, and their memories added with Ted's concerning movies they made really adds to the book. I ended up getting over 30 individuals beginning with 1965 to present day and shared with Ted many of the comments as they were coming in. If kindness was fatal, I'd have been dead concerning the interviews, as all were so incredibly kind and helpful. Some preferred interviews by email, some by telephone. The sad thing is about 50% I spoke to when Ted was alive, and the rest after he passed, and the mood had changed. I impressed upon those sad of his passing to respond as if he was still with us. The book started long before he left us, so it's not a tribute to a man no longer here, it's a living record of your times with him. The bonus amusement of the interviews was often stars would talk about projects they did in their careers that were non-Mikels related, like Sean Kenney about his Star Trek days with Shatner and Nimoy, and Francine York being on Lost in Space and the Batman TV shows. Sadly, Francine died in January of this year, a few months after her interview for Ted's book. What can you tell us about any additional research you did for The Life and Cinema of Ted V. Mikels? I did tons of it. But I didn't get it from other books. Christopher Wayne Curry had a book about Ted published in 2007 titled Film Alchemy, and to this day I have yet to read it. I didn't want to know what he had found. I'll buy his book and read it after mine is published. I found of lot of Ted's early life in Bend, Oregon in the pages of The Bend Bulletin newspaper, articles on his early 16 millimeter films and entertaining he did, and then added this to what Ted said about these things. Lots of research into individuals Ted had worked with for background, and I also watched all of his movies on DVD many times each. I've written many local history books, so used my practice rules to add a historic narrative aspect to the book. Some Ted V. Mikels facts you uncovered which may surprise even his biggest fans? He used to wear a Captain Marvel costume his mom made him when he was a kid. The machete that became the chief weapon the Astro-Zombies used to kill folks came from a prop he had used in a 1950's 16mm film he did. A lot of folks wondered who the girl in the gold bikini was in the first Astro-Zombies movie, and she's identified with a mini bio. Fans will just have to see, I guess. Diehard fans will likely know many of the tales, as Mikels talked about them throughout his life. But the cool thing about the book is it isn't written as a narrative, but Mikels' quotes number thousands and run from beginning to end in the book. So, he's telling the stories, and the guest interviews add to what he's saying. The $64-question of course, when and where will The Life and Cinema of Ted V. Mikels be released? It will be available on Amazon April 29, 2017. April 29 would have been Ted's 88th birthday. Do you still remember the first time you watched a Ted V. Mikels movie, and what were your thoughts back then? I thought, �This guy is nuts.� And I mean that as not a state of mental deficiency, but crazy-fun. 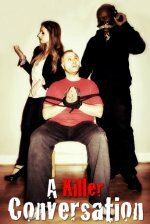 He makes movies like Ed Wood [Ed Wood bio - click here], but it is better than Ed. Mr. Wood actually thought he was making masterpieces, Ted V. Mikels didn't, he did this intentionally and under budget restraints. To him a masterpiece was maximum entertainment value bang. That's what made him a genius. Like Mr. Mikels said to me in the book, he knew of movies made with multi-million dollar budgets that people forget in a few days, and he made movies for pennies that folks vividly recalled scenes some 40 years after his film was released. They never forgot it, they remembered. Of all the movies Ted V. Mikels has done over the years, which are your favourite and least favourite films? And how do you think he has evolved as a director over the years? Hard question to answer, because it's easy to pick out his �best films�, and most would agree with that. But I have a fondness for some of what critics called Mikels' worst movies. I really like them all. But personal favs include all 4 Astro-Zombies movies, Corpse Grinders 1 and 2, Demon Haunt, The Doll Squad, and his last movie, Paranormal Extremes. You see, in every Mikels film there are countless oddities that like I said earlier you never forget. So, it might be better to respond to �favorite scenes�. And I could provide a 100 page list of those. The Life and Cinema of Ted V. Mikels is not your first book about Ted V. Mikels either, you've also written Unmasking the Astro-Zombies - so do talk about that one for a bit! I loved writing that book, as it is such a far-out sci-fi series. What I was aiming at with Unmasking the Astro-Zombies was trivial information overload. Akin to the Star Trek fan William Shater told to �get out of your parent's basement and get a life� in the old Saturday Night Live skit, I wanted to include little details on props, how things originated, back stories about making the films, and there's plenty of actors and actresses who comment in the book, too. It was a fun book to write. Over the years, you have written quite a few books about films and filmmakers from the more obscure side of the spectrum - so a few words about those, and how do you always come back to film topics? Well, I don't always. Over the past year I've written published books about pioneering animator and comic strip artist Winsor McCay, about one of one of our nation's first serial killers, another about the brother of President James A. Garfield. But to stay on topic, I like writing about films, campy in nature usually, because they are an entertaining escape. When you really want to escape but not beyond your own couch, watch a vintage 1950's or 1960's horror or sci-fi film. Not only are these films highly entertaining for their limited budgets trying to create something from nothing, the technology is hilarious. And some of it is prophetic. Particularly with sci-fi, often set in �the future�, movie makers thought things would get bigger, not smaller. You have walls full of these big computing machines with lights flashing, when in reality technology in the future or in our present day became smaller, like a tablet or phone that possesses more capability than the room full of computers used to put a man on the moon in 1969. In old films, doors open when people walk up to them, that wasn't happening back then! Prop men stood behind walls and slid those doors open and closed. Now you enter any supermarket and the doors automatically open. The old sci-fi films set in the future show tapes, and talk of transistors and tubes. Kids today would have no idea what magnetic tape is. Recently I have been watching episodes of Voyage to the Bottom of the Sea on DVD, and in one I just saw it opens with the year �1980�. When they shot it, it was like 1965. So, it's entertaining to look at how film makers imagined to be the future, and that TV show's �1980� is not the future now, it's 37 years ago. 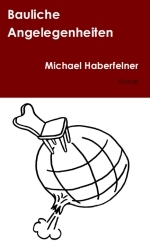 Any other books of yours you'd like to talk about, any future projects? 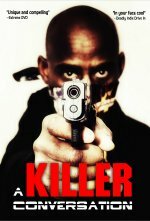 I'm writing several books about films and filmmakers. All I expect to see published this year. They include a guide to the movies of Christopher R. Mihm, a fantastic movie maker that recreates 1950-1960's retro-style works, The Robot vs. the Aztec Mummy, about the 1957 Mexican film trilogy, and Tracy Speaks, featuring gorilla-suit man Bob Burns and his memories of Filmation's 1975 kids TV show, The Ghost Busters. Lots of work, but very fun stuff. What got you into writing in the first place, and how would you describe yourself as a writer? I actually stumbled into it with my first book, children's fiction, published in 2004 by Baker Press. I was writing some young adult novels for fun for a niece and self-publishing them when a conventional publisher expressed interest. That lead to a contract, and away I go. I've written everything from Christian fiction to ghost hunting and the paranormal to history. Best way to describe me as a writer would be I was bitten by the Ripley's Believe It or Not bug as a kid. I'm always curious and like the unusual and strange. But, I don't live that way. I'm a very simple guy, plain and a homebody with a great wife, son and cat. I'm also an illustrator, loved art since childhood, and have drawn over 150 children's books, of which a few I wrote and illustrated, like Professor Horace: Crypozoologist, which is a children's picture book about an old professor who goes in search of Bigfoot, the Loch Ness Monster and other creatures of myth. Writers, both fiction and non-fiction, who inspire you? I don't read a lot. I really don't. But I loved the Harry Potter books, not for the wizardry, but the dialog and characters. The Chronicles of Narnia series is a fav. I also love my wife's writing, and we've written a few books together. ... and since this is a movie site, your favourite and least favourite movies? Putting Mikels' movies aside, there are many favorites. Eraserhead, Army of Darkness, Robot Monster, any classic monster films, and newer Marvel superhero flicks. Loved Bela Lugosi [Bela Lugosi bio - click here]. The worst films I'd probably like, anyway, as they are so entertaining. One of the worst is a 1966 Filipino flick titled James Batman, which was a takeoff of James Bond and the caped crusader. It is so bad at times you cannot even laugh. My author website is kevinscottcollierhomepage.blogspot.com. I am on Facebook, folks can find me. Anything else you're dying to talk about and I have merely forgotten to ask? Nope, not really. Interviews can be ego trips, and I've spoken way over what people could stand!